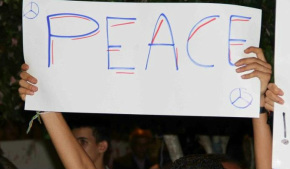 Free Libya, Congratulations on your Hard-Won Freedom! visit the Libyan Tweep Forum. BROWSE: Use the new Site Map ( Index ) or the drop-down menus above to browse site pages. here is more information on how to effectively search this site. All dates of articles and videos are 2011 unless otherwise stated (or placed in this year's time-frame). Libya Alhurra newsroom attacked. Bani Walid under seige. Moussa Ibrahim captured, Khamis (finally) killed. These are crazy times! Deaths of two men, who helped capture Gaddafi and Saif, are listed at the bottom of the martyr's page, as is Chris Stevens and others from the Benghazi U.S. consulate attack. #LibyanRage - Compilation of the first few days of this hashtag. Also, the original video of Omran Shaban ( Shaaban ) telling the story of Gaddafi's capture is translated on this page. Mohamed Nabbous was shot in Benghazi, along with many others, on March 19th, 2011. Here is a page about Mo. We have descriptions of Mohamed Nabbous' videos listed now. We need translations for many arabic conversations of first-hand reports from feburary and march. If you would be willing to help with translating any of Mo's videos, please contact us. Must see Vid: We Win or We Die - about Mahdi Zew, who drove into the Benghazi Katiba - visit the Longer Videos and Documentaries page. Many new fall and winter documentaries here - Benghazi, Long Road to Freedom, State of Denial, We Win or We Die, A Year to Remember, etc. Page of #revolutionmemories twitter hashtag collection from early November is up. Here are special updated twitter logs from the days of the capture of Saif al-Islam Gaddafi and the supposed (not at all confirmed) capture of Abdullah al-Senussi from Nov 19th and Nov 20th. From a Good Source pages, our extensive daily twitter logs and information from other contacts, are available from May 8th through November 8th. They are long, packed full of news and first-hand information, and well worth reading. Pouncing Freedom Fighter, Benghazi Freedom Fighter, Transporting Doctor. and Gaddafi's Driver . Here are a few words translated from the video of Mutassim Gaddafi's capture. Here is our the extensive twitter log from 10/20/2011, with even more conflicting reports and many reflections from Free Libyans. Political Prisoners has stories of perseverance in the face of horrible crimes. Building Free Libya follows the beginning of Libya's bright future. Voices of Libya includes many links to positive visions, actions, and stories of Libyan citizens. Solidarity Videos and Free Libya Music Videos include loads of music videos produced in or for Free Libya, including some Arabic and Tamazight music with English translations. Maps are listed on the main menu page of Places. Here is our expanding list of selected translations of first-hand eyewitness accounts from Tripoli, a widow in Zawiya, and Zliten, captured Gaddafi forces, and solidarity statements. We have a translation of an escaped Tripoli prisoner's story of horrors, testimony from a man who spent 10 years in Abu Salim Prison, and a translation from the moving video where thousands of prisoners were freed in Surman on 8/14/11. We are also tracking the NTC's hacked phone calls of Gaddafi regime officials, including (so far) using children's bodies as movie props, threats against Jibril, and fabrications to deny moving towards Benghazi in March. 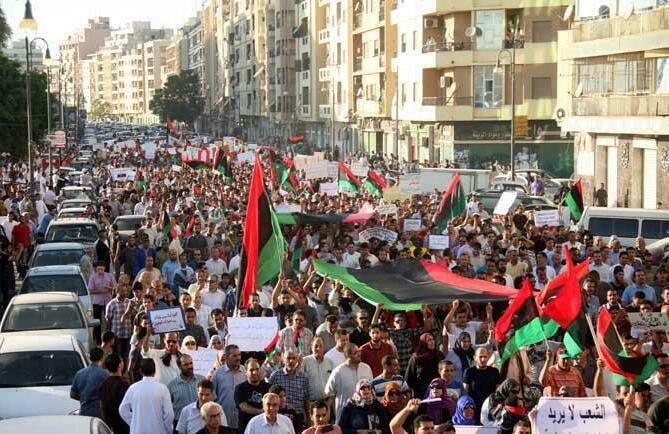 A hard-won liberation has come to Libya! This volunteer effort has been undertaken to show support for the Libyan People in this epic struggle, successfully freeing Libya from 42 years of tyranny. It is just one small effort, facing no guns, that we undertook after Mohamed Nabbous (may he rest in peace while his family lives in peace) lit our candles and encouraged us to find some way to help. Beyond Mo and Perditta (Mo's wife), this archive was made possible by all the helpers in Mo's Libya AlHurra chatroom who post news links day after day, to help show the world the spirit, wit, bravery, tenacity, and beauty of Free Libya. Presently, all main sections of the the site are active except some of the Daily Archives. We are still sorting through news links from various earlier days, while trying to keep up each day. Still, a great deal of information is listed here, sorted first by place, and also often by subject into appropriate categories. You can select news in these subjects and their subcategories from the menu above. Please be patient with us while we add more of the older news archive and improve the site. This is just a small cross-section of the news and information available, and not all of it has been verified, but if we present what we can, the overall picture emerges of the struggles that so many people in Libya have undertaken since the middle of February. You are welcome to contribute suggestions through the contact form. Please excuse the focus on English articles and videos, it is what we have in common. There are of course many Arabic language articles and videos, and some Tamazight, but only a small portion of those are listed here, and fewer yet with translations. Any translations for good videos or articles are most welcome. Here is one news page with some untranslated videos in Arabic and some Tamazight. Additionally, many articles and videos used the terms "Rebels"; so we used the term as well so the article or video title would be accurate, even though the term itself is inaccurate. We have done our best to organize the rush of incoming news and information in a logical format for ease of retrieval. The first level of organization is by place and date, whenever a video or article took place in a particular hotspot. However, if the news broke down into a more specific category, such as Journalists or Refugees or Crimes Against Humanity, then it was usually sorted into that specific category first, although it also may be in the Place categories. We have some of these links categorized in a Daily Events format, which will be uploaded later. We have compiled a significant list of solidarity videos of musical support for Free Libya. Some tweets are incorporated into our information, usually stated as "unconfirmed", but interesting nonetheless. Also, you will find more information here about, for example, crimes against humanity than specific NATO strikes, as our team selected to record what interested them. We have housed the site in a secure location to avoid hacking, with a number of security measures, and the transformation from that site is somewhat tedious, so please be patient with us, it will all be here soon. Please do inform us of unusable links, incorrect categories for links, etc. (with the page mentioned that links are on) by using the forum below each page. This will be a work-in-progress for some time yet. SEARCH: We have added a google search function to the top of the page. It is most useful for a very specific search, such as "Tea of Freedom Song" or "Tim Hetherington journalist". The search will guide you to the page or pages that have what you are searching for, but your browser's "Find" function will need to be used on that page to find the exact link or links. (It's in the Edit menu in Firefox.) Alternatively, the logical categories work quite well in most cases, organized by date. Daily Archives are now available from April 3rd onward, in one form or another, as well as a compilation of other sites' archives from February and March. Postcardsforlibya.org helps injured children and freedom fightersfeel less alone - send some postcards today! Funds donated to GRL via its partner site go to medical relief for the country, wherever it is needed; click here to donate..